The main reason why Oktoberfest exists is to provide an event where you can bring your non-Catholic friend. At Anthem, we believe that you need to meet people where they’re at. 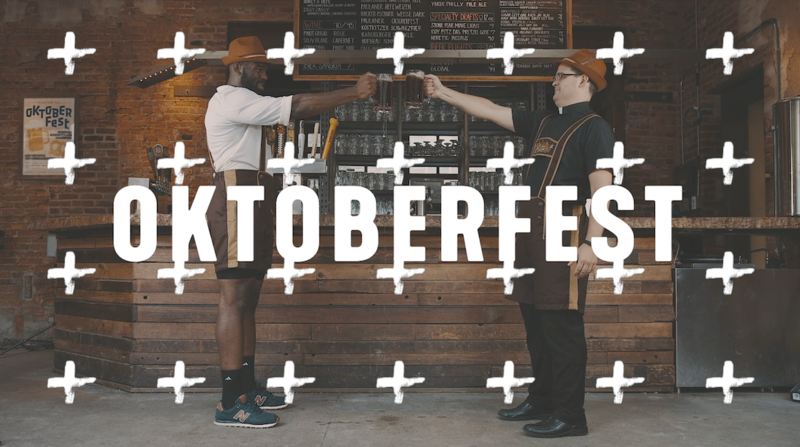 We’re pretty sure that one of the best ways to do that is beer, German food, lederhosen, and having the place all to ourselves. Joy is attractive, and we must create a sense of belonging. Bring your friend, your relative, someone you know who might be pleasantly surprised when they see hundreds of young adults and priests steinholding. Last year’s Oktoberfest sold out! Don’t wait to buy your ticket! A ticket will get you more German food than you could possibly consume, free booze, and entry into the 2nd annual steinholding contest for a chance to win Apple Airpods!